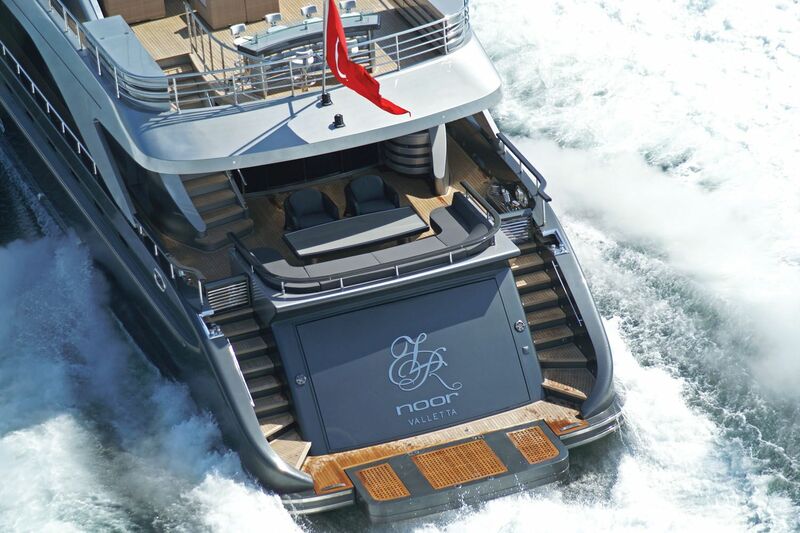 Motor Yacht RL NOOR (ex NOOR) is a 37-meter superyacht launched in 2010 by Bilgin Yachts. 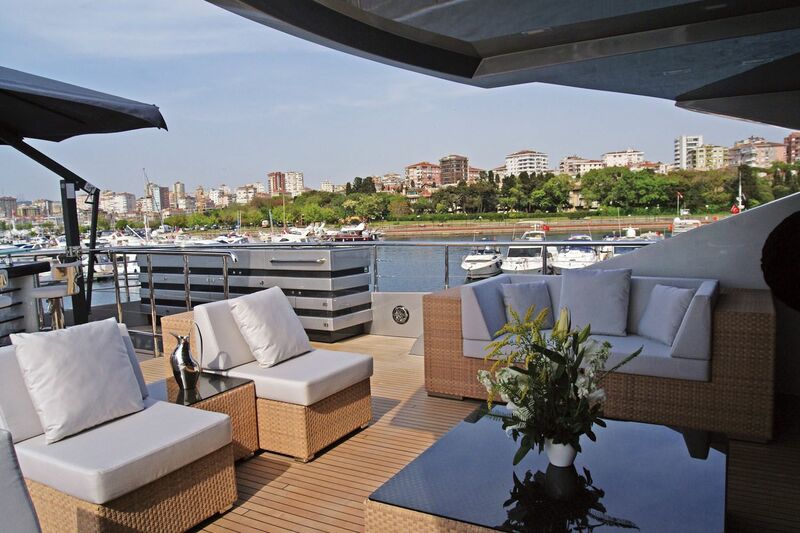 She is a Bilgin 123 Sky custom built luxury yacht with a modern and innovative design by the Turkish Shipyard. 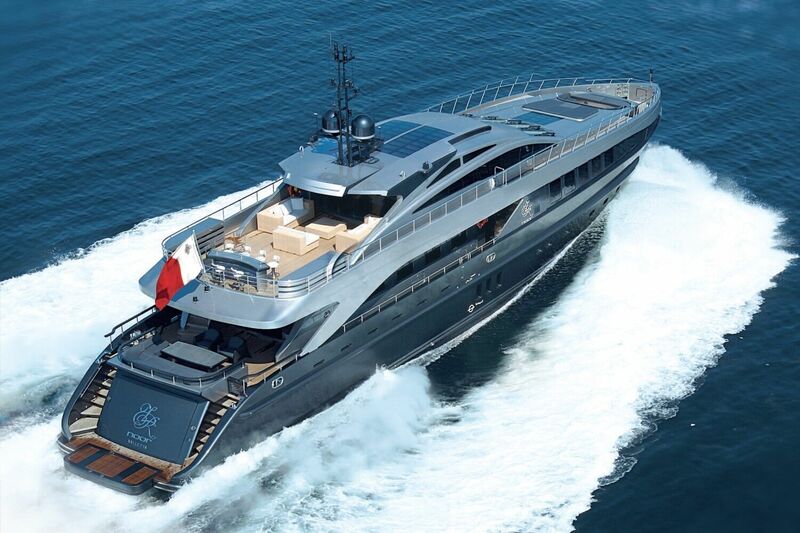 The RL NOOR yacht boasts a carbon black hull and redefines luxury on the high seas. 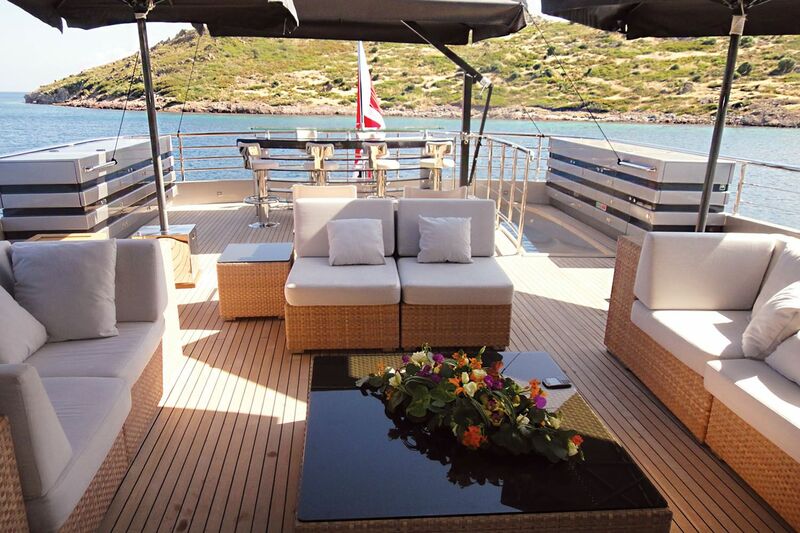 She is available for charter in the Eastern Mediterranean, able to accommodate up to 8 charter guests. She features modern and sleek exterior lines from the in-house team at Bilgin Yachts, with the guidance of the yacht’s owner, and a contemporary interior by Italian-based Hot Lab Yacht & Design. Her interior by Hot Lab features large amounts of greige tinted oak veneer, Thassos marble and rare carpets to create a warm atmosphere that is stylish and comfortable with minimal elements. At the heart of RL NOOR superyacht’s design is usable space, boasting 5 indoor and outdoor guest seating areas, an indoor and outdoor bar, steam room and a swim deck that plunges to sea level. 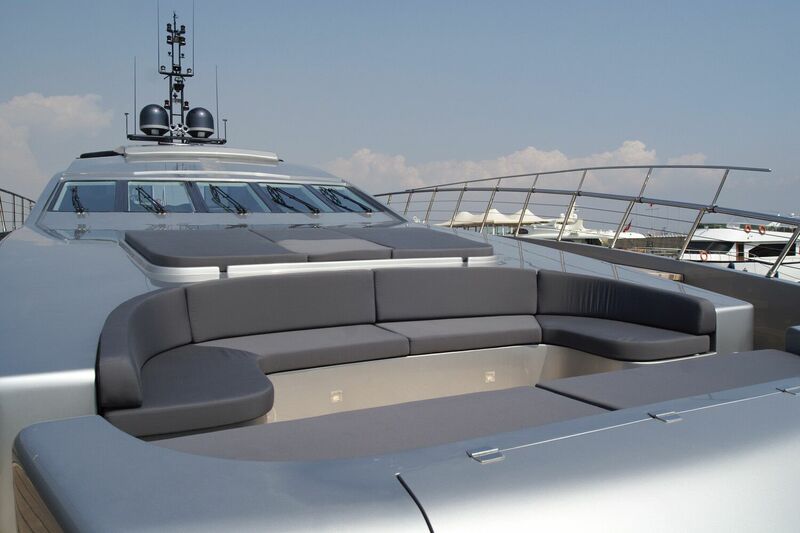 Located aft, the saloon features a variation on the general color scheme and combines dark ebony with contemporary lacquered inserts, fabric and leather panels and a carefully selected assortment of loose furniture pieces. 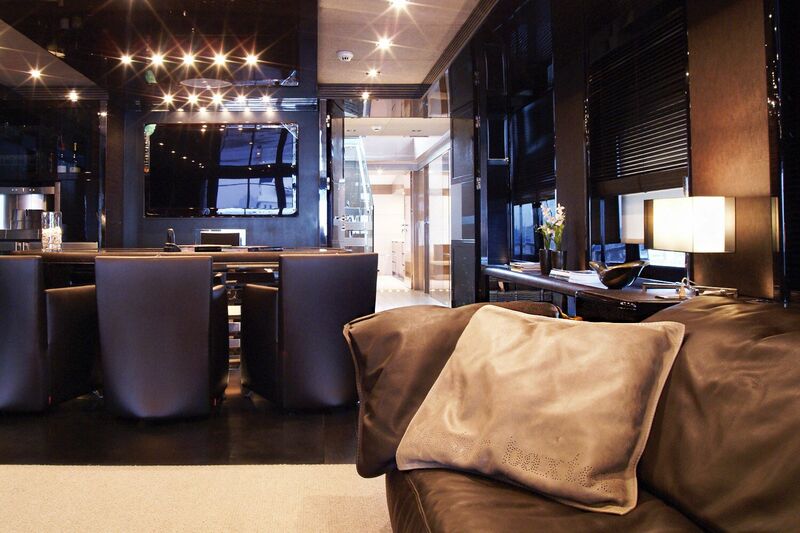 The dining area adjoining the saloon and there is also a galley, and Owner’s Suite located on this main level. A staircase forward runs to both the upper and lower decks. 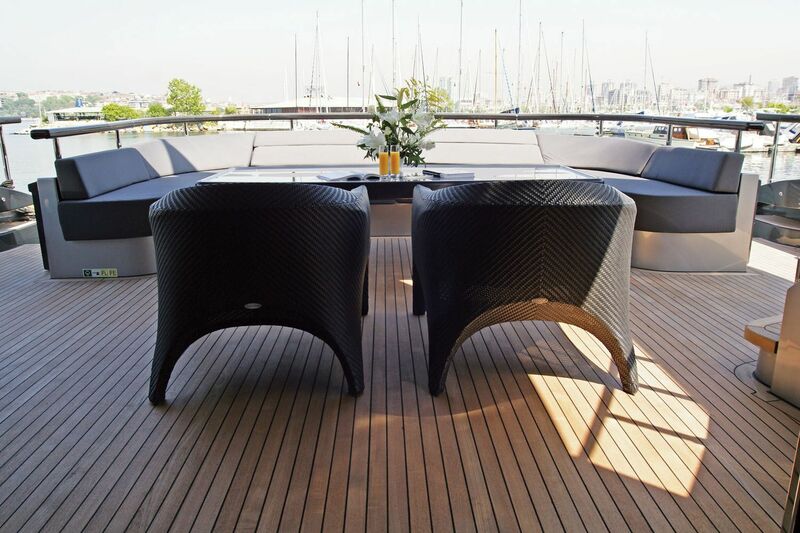 The commitment to comfort aboard the yacht is evident. 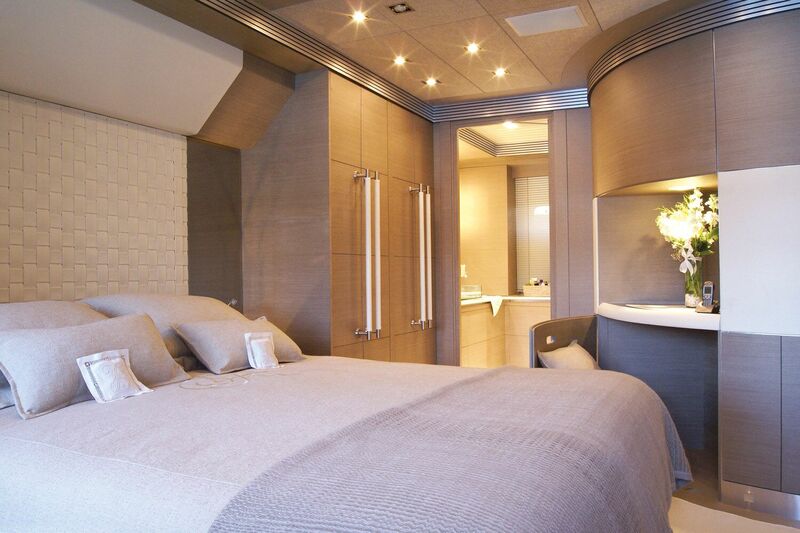 Her large guest suites are fitted with oversized windows for natural light. 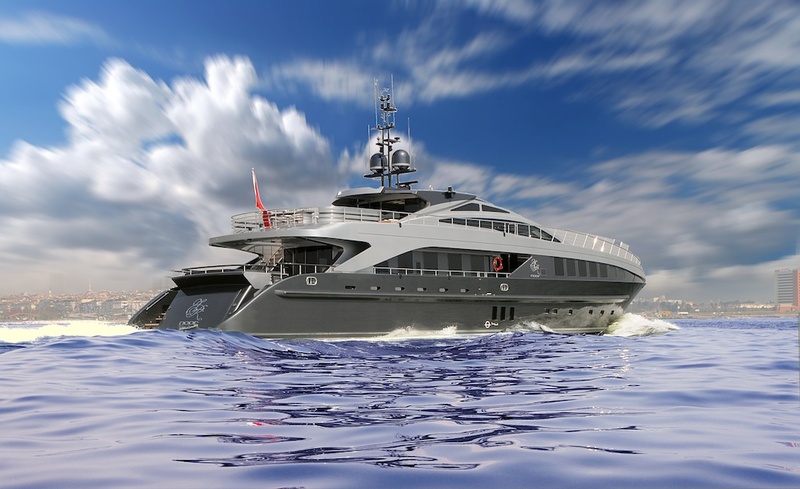 Bilgin motor yacht RL NOOR can accommodate up to 8 guests in four cabins including the full-beam Owner’s suite on the main deck and a VIP, and two double Guest cabins on the lower deck. 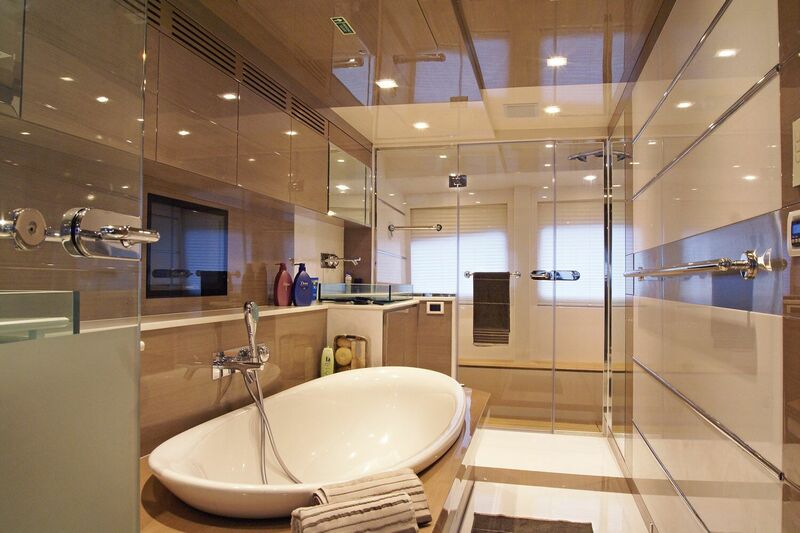 Her Owner’s suite boasts 2 beds, a seating area, desk, and en suite with tub, shower, sauna, and steam room. Her upper deck is home to another saloon and the wheelhouse. 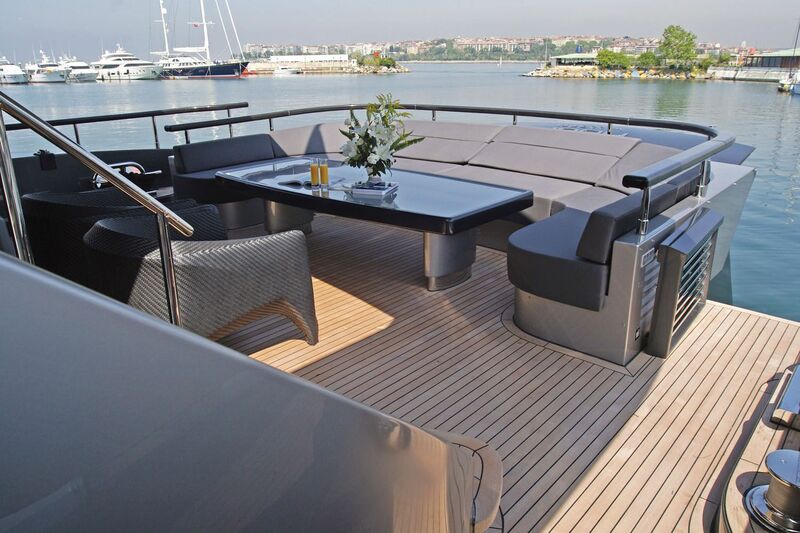 RL NOOR’s flybridge has an al fresco dining area and bar and the sun deck boasts a large sofa and sun beds. She is fully constructed from wood and has a beam of 7.5m. 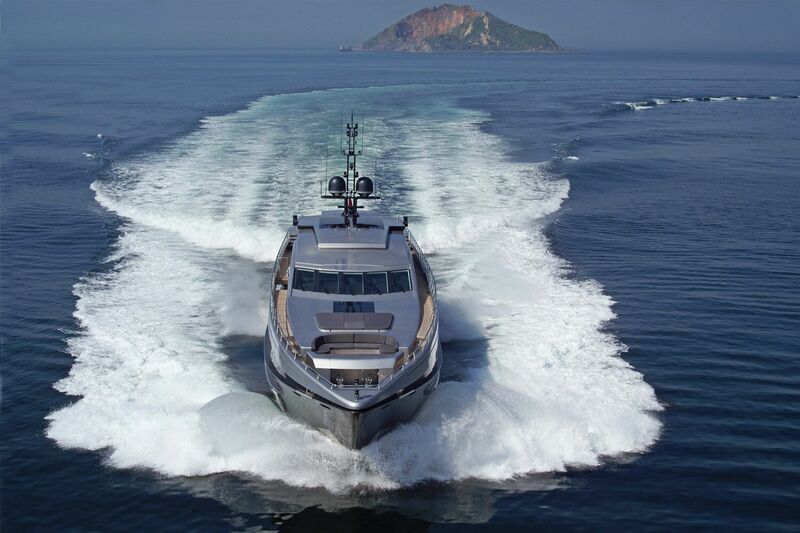 M/Y RL NOOR is powered by two MTU engines and can attain a cruising speed of 20 knots and a top speed of 24 knots. Zero speed stabilization controls the vessel’s movement keeping rocking to a minimum for maximum comfort of her charter guests. The vessel’s 17 tons of sound and vibration insulation yield one of the quietest vessels on the sea. 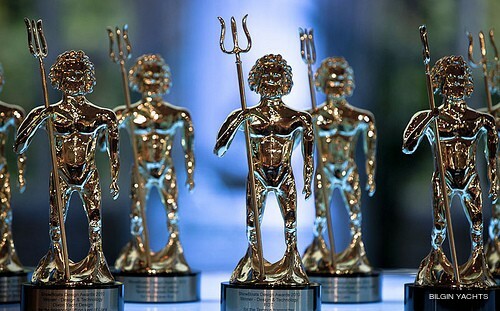 The RL NOOR received international recognition for its interior design and detail and was awarded best interior yacht design on any semi-displacement yacht in 2011. The RL NOOR superyacht can accommodate up to 8 charter guests in four cabins including the full-beam Owner’s suite on the main deck and a VIP, and two double Guest cabins on the lower deck. 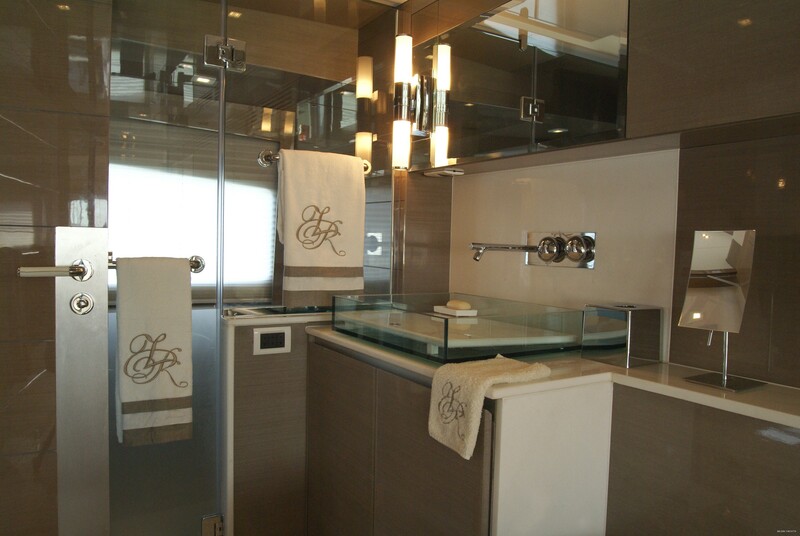 Her Owner’s suite boasts 2 beds, a seating area, desk, and en suite with tub, shower, sauna, and steam room. 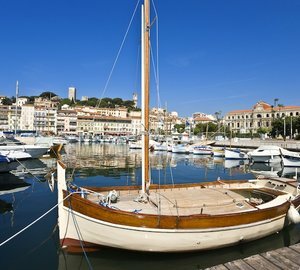 Please contact CharterWorld for a full list of RL NOOR's yacht charter amenities.